Do you have a Honeybee Hive that needs relocating? Did you know that there is a Bee Rescue service in Toronto that will humanely remove honeybee hives in the GTA? Toronto Bee Rescue is dedicated to the humane removal and relocation of established honeybee colonies within the Greater Toronto Area. They remove honeybee colonies from homes, sheds, decks, and other man-made structures. They will also collect swarms of honeybees that have clustered on tree branches, fences, etc. The collected honeybee colonies are then relocated to more suitable locations where they are able to thrive as beneficial pollinators to the local environment. HUMBER VALLEY BEE YARD: Toronto Bee Rescue is excited to have secured their first bee yard in the City of Toronto. With this location, they are able to keep rescued bee hives in the city. Located in Humber Valley, the honeybees forage on the wild flowers that follow the Humber River and the numerous flower gardens that surround homes. OAK RIDGES MORAINE BEE YARD: Nestled in paradise, the Oak Ridges Moraine Bee Yard provides the ideal honeybee hive location. 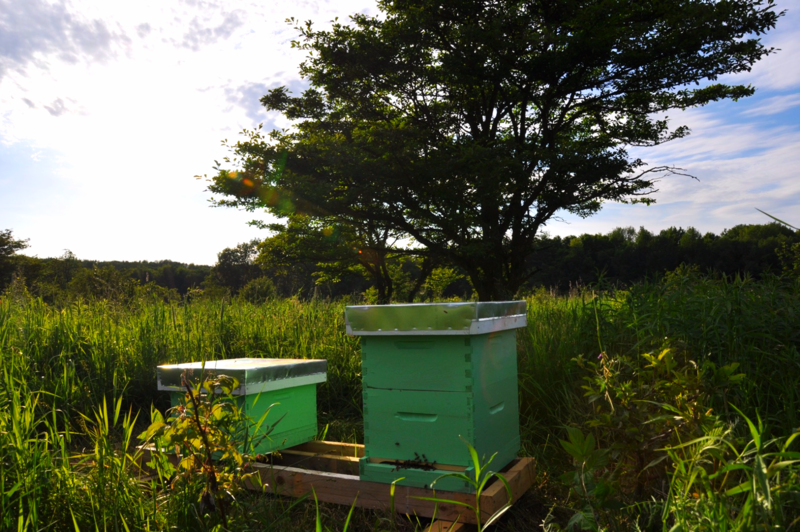 Pesticide free fields, rolling hills and acres of hardwood forests surround their hives. NORTH YORK BEE YARD: Hidden in the ravines of Toronto, this site has become the main rescue yard. All swarms and hive removals are brought into this yard and nursed to productive bee hives. Have you every enjoyed any Bee By Products? Which are your favourite?